When we mentioned being fully sustainable and recycling materials wherever possible – we really meant it. Renaissance Landscapes wants to help you personalize your home in a truly unique way. 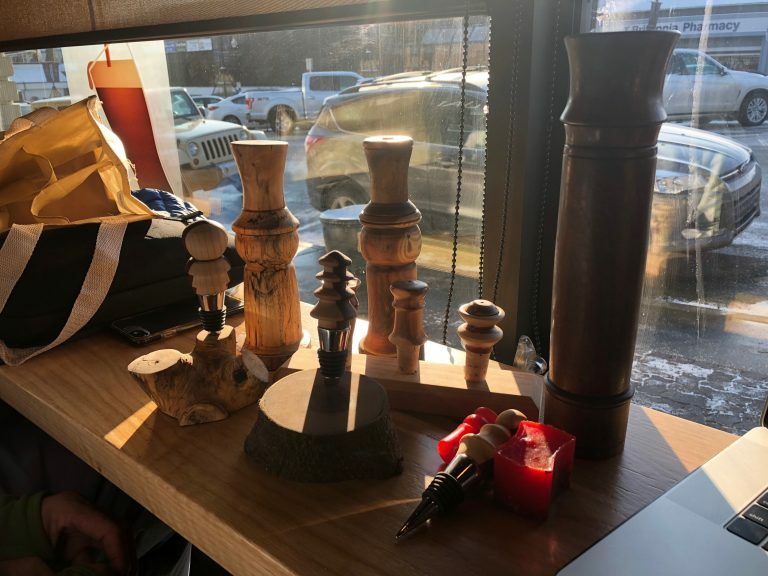 While working on your landscape, our team will take some of the more particularly beautiful pieces of wood and scrap lumber that are produced, and reinvent them into wine stoppers, pepper mills, and even Christmas ornaments. With our skill, and the beautiful raw materials from your landscape, we can create a lifelong keepsake for you and your family. View our previous custom woodworking and begin to get inspired about what kind of piece we could create for you, then send us a quick message so we can help you make it happen.